Making meatloaf patty style does three things: It insures everyone gets plenty of topping, your meat is always cooked through, and it saves time since it cooks faster. Bonus? It's freezable. Zip on down to the bottom to see how to freeze them for later. Chop/dice onion. 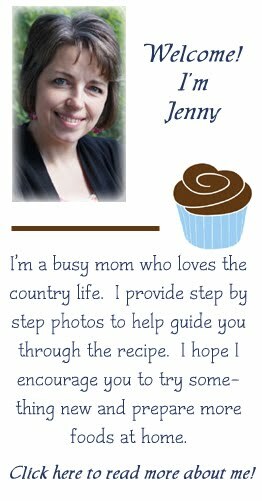 I do mine pretty small so there are never any crunchy onions in my meatloaf. Cook onions in oil with salt/pepper until completely cooked. Turn off heat. Add Worcestershire sauce, broth, and paste. Mix and cool a little. Mix eggs and bread crumbs... Add tomato/onion mixture to it. and beef. Form into 3-4 hamburger patties. Put on jelly roll pan (cookie sheet with sides) and drizzle with ketchup. Bake at 350 degrees for 25-30 minutes or until done. To grill... Heat ketchup separately mostly to get the chill off. 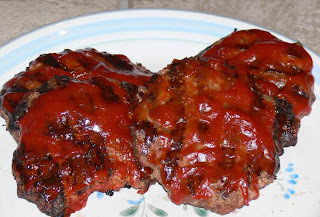 Grill meatloaf patties on medium heat for for 5-6 minutes. Flip, add ketchup and grill for another 5-6 minutes. You can make more than one batch at a time. TO FREEZE....Form patties and put on wax paper lined cookie sheet. Freeze and then bag. To cook, thaw and cook according to directions above.